The palaces and temples which form the nucleus of this group of secular and religious buildings exemplify the architectural and artistic achievements of China's Yuan, Ming and Qing dynasties. Situated in the scenic valleys and on the slopes of the Wudang mountains in Hubei Province, the site, which was built as an organized complex during the Ming dynasty (14th–17th centuries), contains Taoist buildings from as early as the 7th century. It represents the highest standards of Chinese art and architecture over a period of nearly 1,000 years. Les palais et temples qui constituent le noyau de ce complexe de bâtiments séculaires et religieux forment une réalisation architecturale et artistique exemplaire de l'époque des dynasties chinoises des Yuan, Ming et Qing. Les flancs des montagnes de Wudang (province du Hubei) et leurs vallées panoramiques abritent ce site qui fut construit en tant qu'ensemble organisé pendant la dynastie des Ming (XIVe -XVIIe siècle) et qui comporte également des bâtiments taoïstes datant du VIIe siècle. L'ensemble représente l'apogée de l'architecture et de l'art chinois sur une période d'environ un millénaire. تشكّل القصور والمعابد قلب هذا المجمّع المكوّن من مبانٍ دينيّةٍ ومدنية قديمة وهي إنجاز هندسي وفنّي مثالي من إنجازات حقبة سلالات يوان ومينغ وكينغ الصينيّة. وتضمّ سفوح جبال وودانغ (مقاطعة هباي) ووديانها السحيقة الرائعة هذا الموقع الذي شيّد على أنّه مجموعة متكاملة في حقبة سلالة مينغ (القرن الرابع عشر إلى السابع عشر) وهو يكتنف مبانٍ طاويّة ترقى إلى القرن السابع. ويُمثّل المجموع ذورة الهندسة والفنّ الصينيين لمدّة تناهز الألف عام. Дворцы и храмы, образующие ядро этой группы гражданских и религиозных зданий, демонстрируют архитектурные и художественные достижения периодов правления китайских династий Юань, Мин и Цин. Расположенный в живописных долинах и на склонах гор Уданшань в провинции Хубэй, объект, приобретший вид единого комплекса при династии Мин (XIV-XVII вв. ), включает даоские здания, датируемые еще VII в. Это высочайшие образцы китайского искусства и архитектуры, охватывающие период около 1 тыс. лет. Los palacios y templos que forman el núcleo de este conjunto de edificios civiles y religiosos son un ejemplo excepcional de las realizaciones arquitectónicas y artí­sticas de las dinastí­as Yuan, Ming et Qing. Las laderas de las montañas de Wudang (provincia du Hubei) y sus valles panorí¡micos forman el paisaje circundante del sitio, que posee antiguas edificaciones taoí­stas del siglo VII y fue estructurado como conjunto monumental en tiempos de la dinastí­a Ming (siglos XIV a XVII). Los edificios antiguos de Wudang son representativos del alto grado de perfección de la arquitectura y las artes chinas a lo largo de un milenio. In de Wudang bergen van de provincie Hubei ligt een oud gebouwencomplex, tussen pieken, ravijnen en kloven. Het is opgericht tijdens de vroege Tang-dynastie (627 - 649 na Christus) als Taoïstisch centrum en kon rekenen op keizerlijke steun en financiering gedurende vele dynastieën die volgden. De gebouwen die nog bewaard zijn gebleven, stammen uit een latere periode van de Yuan, Ming en Qing dynastiën. Ze zijn een mooi voorbeeld van de hoge standaard van Chinese kunst en architectuur gedurende een periode van bijna 1.000 jaar. Het gehele complex is bij wet beschermd en wordt nauwkeurig en met grootste zorg geconserveerd. The palaces and temples of the Ancient Building Complex are located amongst the peaks, ravines and gullies of the picturesque Wudang Mountains, Hubei Province. Established as a Taoist centre from the early Tang Dynasty, some Taoist buildings could be traced back to the 7th century. However the surviving buildings exemplify the architectural and artistic achievements of China’s secular and religious buildings of the Yuan, Ming and Qing dynasties. The Ancient Building Complex reached its apogee during the Ming dynasty, with 9 palaces, 9 monasteries, 36 nunneries and 72 temples, following the major building campaign undertaken by Emperor Zhu Di to align his imperial regime with Taoism. Today, 53 ancient buildings and 9 architectural sites survive, including the Golden Shrine and the Ancient Bronze Shrine, which are prefabricated buildings in bronze made in 1307; the stone-walled Forbidden City of 1419; Purple Heaven Palace built originally in the 12th century, rebuilt in the 15th century and extended in the 19th century; the Nanyang Palace of the 12th and 13thcenturies; the Fuzhen Temple of the 15th and 17th centuries and the stone Zhishi-Xuanyue Gateway built to mark the entrance to the Wudang Mountains in 1522. The buildings in the Wudang Mountains exhibit exceptional architectural art and technology and represent the highest level of Chinese art and architecture achieved over a period of nearly 1,000 years. They are examples of religious and secular buildings closely associated with the growth of Taoism in China and lavishly endowed by successive Emperors. As an exceptionally large and well-preserved Taoist building complex it is important material evidence for studying early Ming politics and the Chinese history of religion. Criterion (i): The ancient buildings in the Wudang Mountains represent the highest standards in Chinese art and architecture over a period of nearly one thousand years. Criterion (ii): The Wudang buildings exercised an enormous influence on the development of religious and public art and architecture in China. Criterion (vi): The religious complex in the Wudang Mountains was the centre of Taoism, one of the major eastern religions and one which played a profound role in the development of belief and philosophy in the region. All the 62 ancient buildings and sites have been included in the property boundaries surrounded by extensive buffer zones with signs and enhanced safety control. Meanwhile, guided by the principle of “giving priority to the protection of cultural relics and attaching primary importance to their rescue”, priority is given to each building in terms of maintenance and repairs to ensure the integrity of the property. Besides carrying out necessary works on the property such as cleaning, reinforcement, termite prevention and lightning conductors, the principle of respecting the authenticity is strictly adhered in terms of maintenance and repair, so that the original condition of the property in terms of layout, specification, style and material are all preserved. Meanwhile, the setting of the property has been improved by relocating residents out of the property area, which helps to preserve the authenticity as well as to restore the original setting. According to the planned national water diversion project from the south to the north, the local water level is to rise 15 meters. As a result, some ancient buildings may need to be elevated, while some others may need to be relocated, which may impact the authenticity and integrity of the property. The property is protected at the highest level by the Law of the People’s Republic of China on the Protection of Cultural Relics. The Management Committee of the Wudang Mountains Tourism and Economic Special Zone where the property is located exercises the local governmental responsibility, and is exclusively in charge of protection, management, development, use, planning and construction of the Wudang Mountains scenery area. The Cultural Heritage Bureau under the Management Committee is responsible for the administration of cultural heritage in the Special Zone. The Institute for Cultural Heritage Conservation, a museum and 5 cultural heritage management departments are set under the Bureau to carry out conservation works. 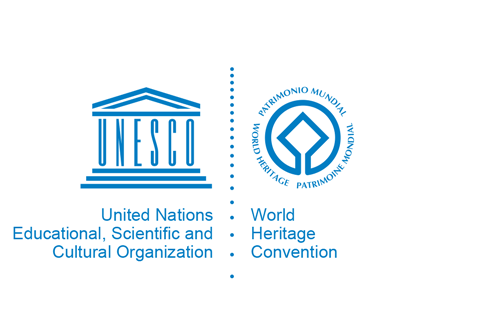 Among them, the 5 cultural heritage management departments are established according to the distribution of cultural heritage over the Mountains, and have clearly assigned scope of jurisdiction and staff. With regard to the 28 remote heritage sites, voluntary conservators’ tenders coming from the villages where these sites are located take care of them. At present, there are 84 such conservators that are professionally engaged in cultural heritage conservation. Meanwhile, the “Four Legal Prerequisites” (demarcation of the boundaries, erection of an official plaque declaring a site a protected entity, creation of an archive for records, designation of an organization or person dedicated to management) and ‘five bring into’ (bring into the economic and society development plan, bring into urban and rural construction plan, bring into the fiscal budget, bring into system reform, bring into leadership accountability system) for cultural heritage conservation have been achieved, and the heritage monitoring system and database have been established. The Outline of the Master Plan of Wudang Mountains Scene Area, the Twelfth Five-year (2011-2015) Conservation Plan for the Ancient Building Complex in Wudang Mountains, Regulations of Wudang Mountains Environment and Regulations on Basic Construction in the Planned Area of Wudang Special Zone have been formulated, and the provincial government has issued laws and regulations including the Regulations of Wudang Mountain Scene Area. The Master Plan for Cultural Heritage Conservation of Wudang Mountain is under preparation. Moreover, the top-level protection zone inside the Scenic Area has been expanded to coincide with the property boundaries. Farmers living in the property area have been relocated for better protection of the sites, while all constructions impairing the setting of the property have been demolished. The property is properly managed and preserved through periodic, strict and well planned maintenance and protection.